Resin Protege Lawn Bowls Trophies. Available in 2 sizes, 90mm and 110mm high. 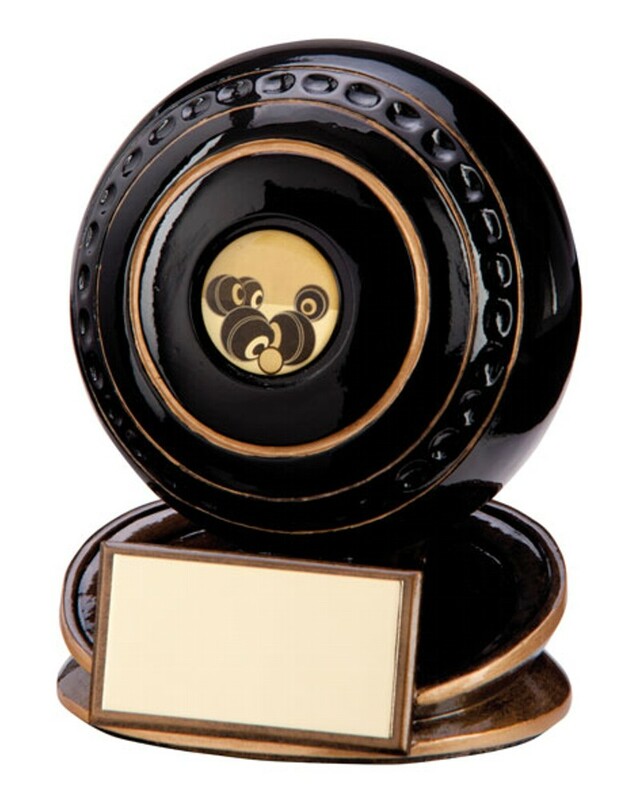 A black ball mounted on a black base with antique gold highlights. Perfectly crafted and well designed award.